Bobby Petrino and his coaching staff were not frugal when it came to recruiting expenses. According to the Louisville Courier-Journal, Petrino and the Louisville football staff spent more than twice what was allotted in its recruiting budgets in each of Petrino’s last two years with the school. Louisville football spent $709,180 during the 2017-18 school year, after having been budgeted $320,000 for expenses, according to figures provided by the university to the Courier Journal. The previous year, it spent $563,722, with a budget of $275,000. The program was over budget in the past four full years under Petrino by more than $1.1 million — averaging $277,042 over budget each year. 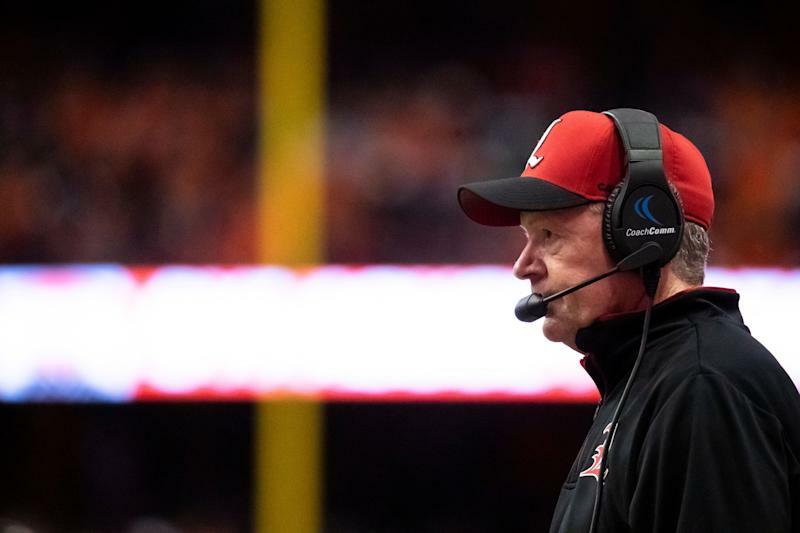 Petrino was fired near the end of a disastrous 2018 season and replaced by App State coach Scott Satterfield at the end of the regular season. Louisville was 2-8 and on a seven-game losing streak when Petrino was fired. The Cardinals finished 2-10. Louisville was six games worse than it was in 2017, the final season with Heisman-winner Lamar Jackson at quarterback. As you can imagine from Louisville’s 2018 record, the money that Louisville’s football staff was spending on recruiting wasn’t going very far. The Cardinals’ class of 2017 was ranked No. 29 by Rivals and No. 31 in 2018. The school signed just 10 combined four-star recruits over those two seasons. Louisville athletic director Vince Tyra told the Courier-Journal that he didn’t directly correlate the program’s recruiting expenses to the team’s win-loss record in 2018. But he did acknowledge that Satterfield has said the team’s roster needs to be overhauled in certain spots. “I don’t look at this and say, ‘Geez, they spent all this money in recruiting and we went 2-10,’” Tyra told the paper. “You have to believe that there’s good effort there, there’s solid effort. Maybe the frustrating part of that is when you hear your current coach say you’re out of balance by position from those efforts. Louisville football’s spending habits also came as the school’s athletic department wasn’t exactly flush with cash. A board member said in October that the school couldn’t afford to pay Petrino’s $14 million buyout. Given how poorly things were going — the team didn’t win a game after those comments — Louisville went ahead and fired Petrino anyway.